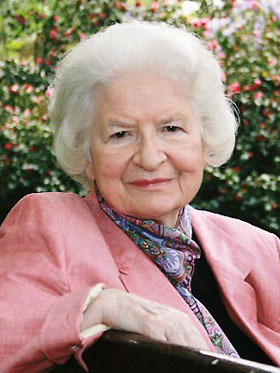 I was greatly saddened to hear of the death of P. D. James at the age of 94 in her home in Oxford. I discovered James’s detective novels many years ago in my quest to find literary mentors, authors who could teach me, mentor me, in the craft of writing. I read everything she wrote, some works several times, studying her phrasing, her metaphors. I’m not a fan of simple sentences, but prefer sentences textured and layered with phrases, fearlessly long, unafraid to pull the reader alongside its subject in search of a predicate, looping and climbing and decorating and meandering. Reading P. D. James verified that one didn’t have to write in the “modern” way of Hemingway and all the deconstructionists who followed suit. One could indeed write like Henry James or Dickens or Bronte and not be pilloried for it. She wrote literary fiction that happened to be detective fiction, and I wish she had received greater acclaim for her talent. Nevertheless she was wise to have written within the known and comforting structure of detective fiction, a decision that seemed to bar her from the big prizes but increased her audience. In the process she enriched the genre with layered syntax and language, and created characters with character and depth. Adam Dalgliesh was a modern hero, with all of the complexities of a truly good man. We cared about him and about those he gathered around him. It wasn’t until fairly recently that I realized she was a fellow Anglican. 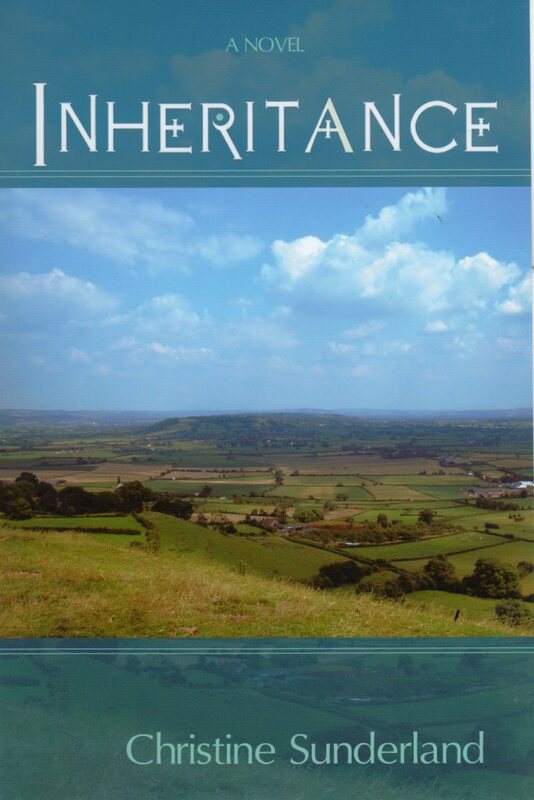 My third novel, Inheritance (OakTara, 2009), was largely about the history of Christianity in England and thus predominantly the history of the Church of England (set in London, Oxfordshire, and Glastonbury), with many Book of Common Prayer scenes. So I tried to reach Baroness James to send her a copy as a small thank you for all she had done for me. I couldn’t find an address, email or surface mail. So on one of our visits to London (May, 2011), I dropped off a copy at her agent’s office, not far from Holland Park. 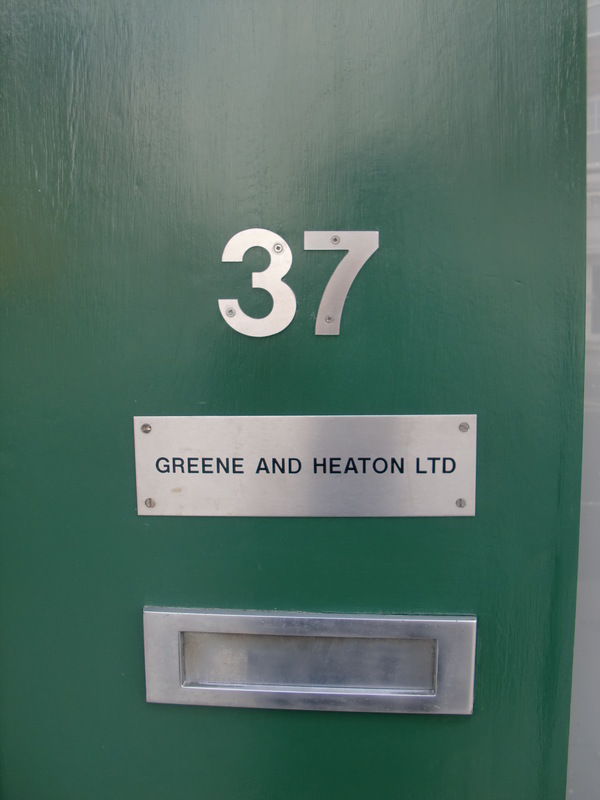 I tapped a buzzer alongside a green door and traipsed up narrow stairs to the offices of Greene and Heaton, 37 Goldsmith Lane, where a receptionist welcomed me. Yes, she would be happy to forward the novel to Baroness James along with my letter. A few months later I received a lovely thank you note from Baroness James. In the note she expressed concern over the changes happening in the Anglican world, with hopes things would somehow work out. She said she didn’t know when she would get to reading my novel, since she was deep into her novel-in-progress, and couldn’t seem to find enough time to write. This turned out to be Death in Pemberley, her salute to Jane Austen. For my part, I was simply delighted, as any fan would be, to have received her note. I have been greatly in P. D. James’ debt for many reasons. Her writing style validated my own (or so I thought); she wrote long complicated sentences and so did I. She was Anglican and loved the Book of Common Prayer containing the poetic prayer-collects of Thomas Cranmer and the Psalter, read or sung mornings and evenings, in many Anglican churches throughout the world over the years. P. D. James grew up attending weekly Evensong. I believe that it is the rhythm of the Psalms along with those poetic prayers of Cranmer she memorized in school, that have so defined the rhythm of James’ style as well as my own. Another writer-friend, raised on the Psalms, within the Psalms, writes this way too. We grew up with these rhythms, the meter and melody becoming part of us. Because of her own life’s challenges and sufferings early on, she was equipped to create vivid characters. She was also able to write of the grit and grime of murder, the horror and ugliness of violent death. She wrote with a realism new to detective fiction at the time, unlike Agatha Christie or Arthur Conan Doyle. And yet she provided redemption by returning order to the world. One of the greatest gifts an artist can give to his or her culture is to civilize the barbaric places in the individual and in society. It is this civilization that the Book of Common Prayer has represented, and that P. D. James has reflected in her own way. How do we impose order upon disorder in our hearts and in our communities? Artists, to be sure, have a moral responsibility to civilize us, encourage us to be civil, to love, to light up the dark places. In my own novel-in-progress, The Fire Trail, I’m exploring some of the boundaries of darkness and light, borderlands where the barbaric has made alarming inroads in today’s culture. Thank you Baroness James. You have ordered our disorder in so many ways, civilizing our hearts and minds. Rest eternal grant unto her, O Lord, and may light perpetual shine upon her. This entry was posted in Uncategorized and tagged Book of Common Prayer, Cranmer, Detective Fiction, mentor, novels, P.D.James, style, syntax, writing. Bookmark the permalink. Thanks for the “clue”. I will read some of her work. Alas my writing is of the modern style. My meager public school and state university education has ill prepared me for the literary side of this business. The crooks and detectives I spent the last 36 plus years with tended to speak and write in the clipped, direct form I use. It serves me well so far but who knows what will come in the future?